UNITED STATES: Siemens Energy has won a major order from Portland General Electric Company (PGE), for the supply of 116 of its SWT-2.3-108 wind turbines for an onshore US project. The 267MW Tucannon River wind farm will be located in Columbia County, Washington. The scope of supply includes the delivery and installation of the 116 wind turbines as well as a five-year service and maintenance agreement. 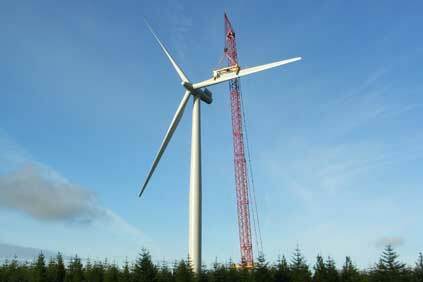 Installation of the wind turbines is scheduled to begin in 2014 and should be completed in 2015. "We are excited to support PGE with their continued expansion of clean, renewable energy," said Mark Albenze, CEO of Siemens Energy's Wind Power Americas business. "This order is also an important step in strengthening our position in the US wind market. The project was formerly known as Lower Snake River Phase II and is located adjacent to Lower Snake River Phase I, a 343MW wind project completed in 2012 and also featuring Siemens turbines. The company will be assembling the 116 nacelles and hubs at its assembly facility in Hutchinson, Kansas, while the 348 blades for the Tucannon River project will be manufactured at the firm's plant in Fort Madison, Iowa.